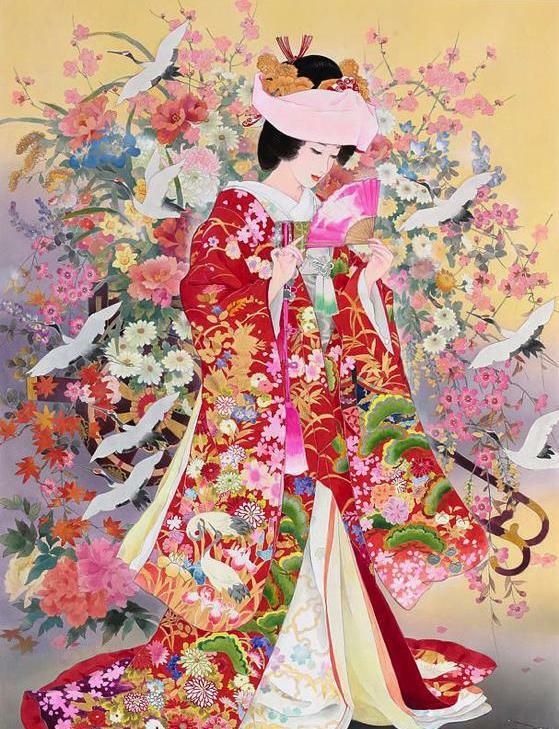 Haruyo Morita is an extraordinary artist born in Kita-Katsushika, in Saitama Prefecture nel1945, now residing in Australia. 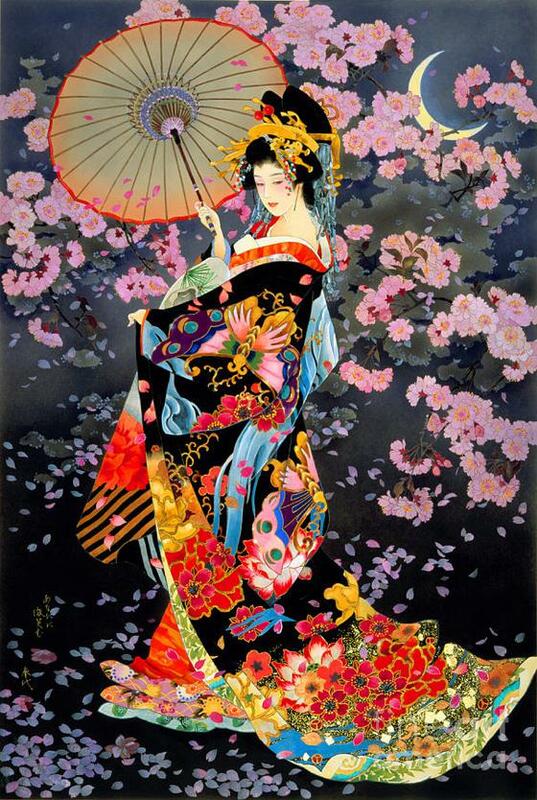 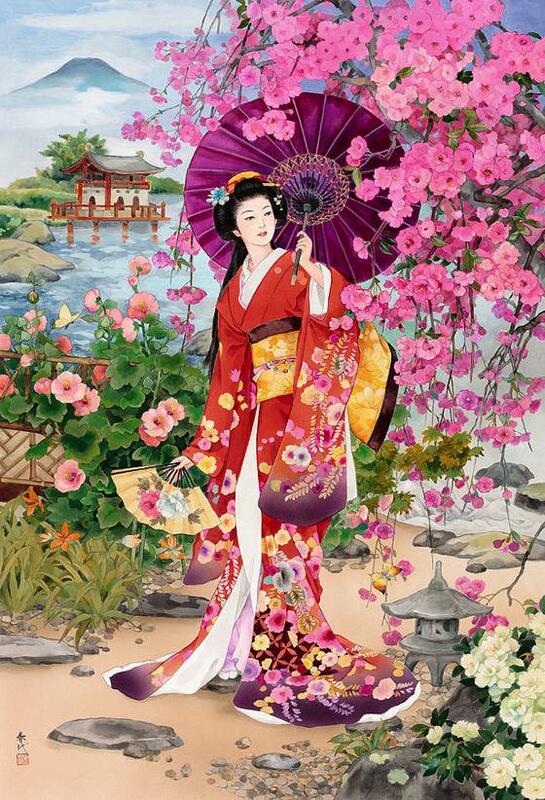 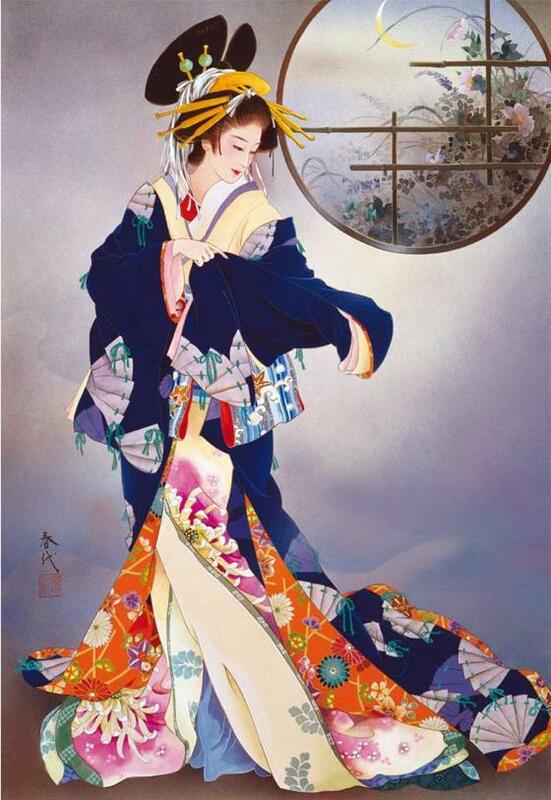 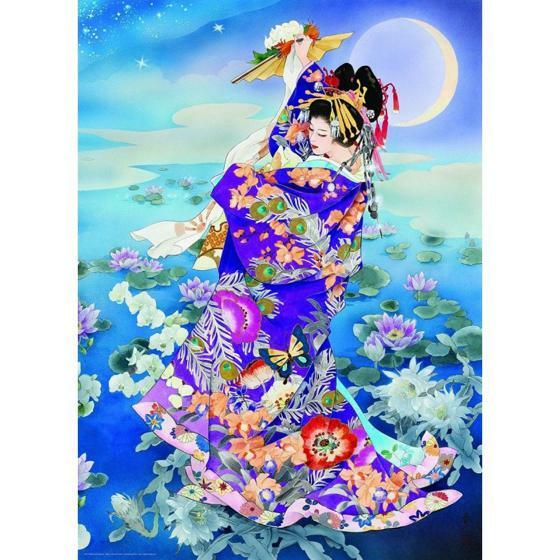 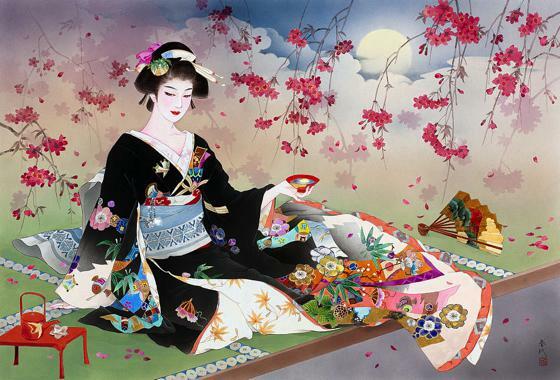 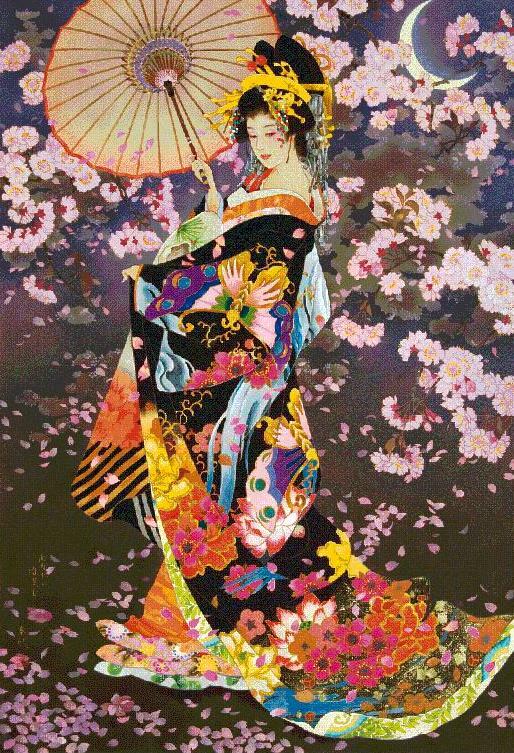 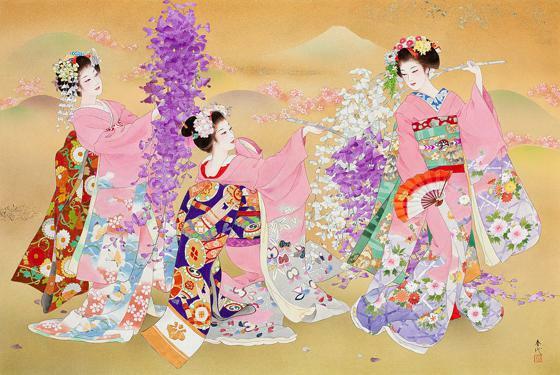 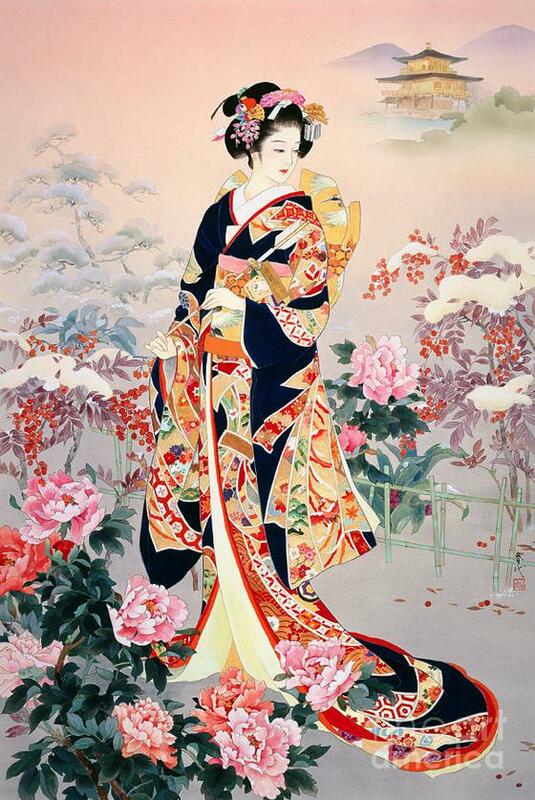 Her work depicts kabuki actors but also beautiful Japanese women in traditional dress, kimono and yukata, while they dance among the cherry blossoms, playing musical instruments, or devote themselves to the tea ceremony. 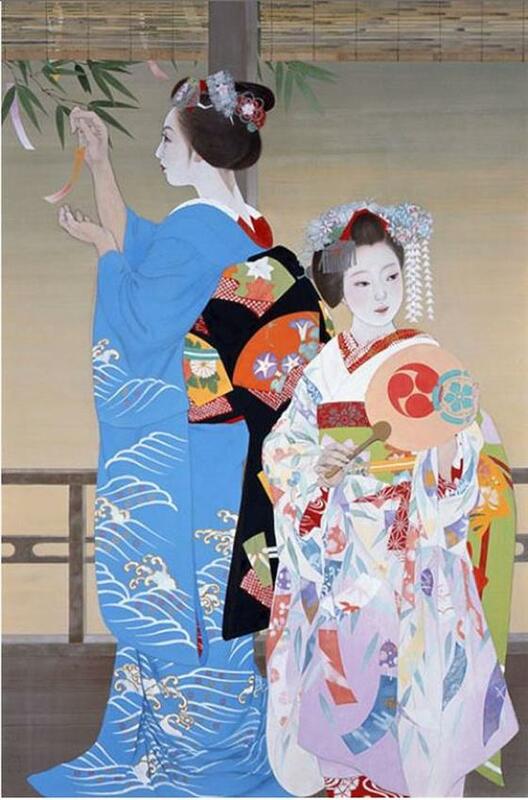 The work of Haruyo can be described as a representation by the contemporary taste of traditional painting ukiyo-e and in it shines her ability to paint wonderful patterns and prints into kimonos, activities who she studied for years.